Beautiful couple, beautiful hearts. As with all my couples, I instantly fell in love with Kensie & Eric. These two are so very sweet. It took us three tries to finally get a date that worked with our crazy schedules AND with weather that would cooperate! Third time's a charm, right? 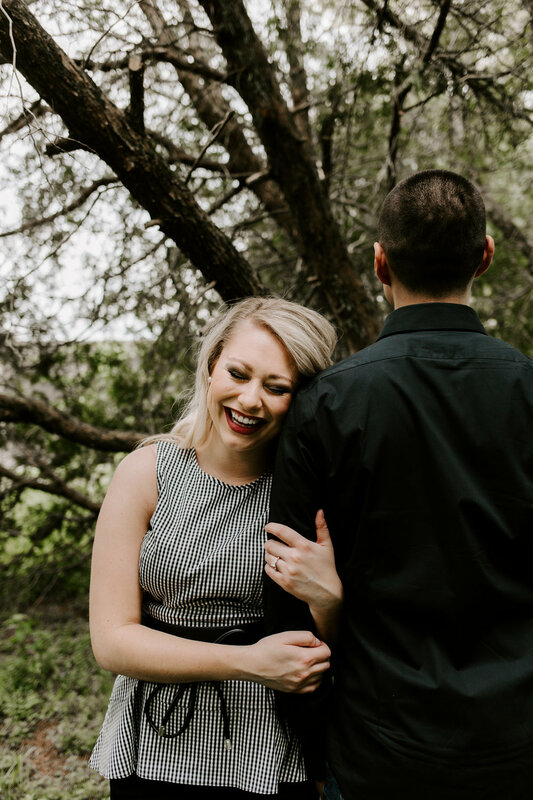 We met up at Allerton Park in Monticello, IL for this couple's engagement session - and it was SO much fun! Neither of these two had ever visited Allerton, so I got to also tour them around a bit! They loved it as much as I do (I'm pretty sure!) by the time we were done! And we didn't even touch half of the park. These two met in New Orleans, LA during their first year in law school at the University of Illinois. As Kensie puts it, "it was magical!" The love these two share was so sweet and true -it was such an honor to be chosen to capture their big day! Now, how about some sneaks from their session? ?